THE SCENE: The Hilton in Downtown Austin was the setting for The Andy Roddick Foundation Luncheon. 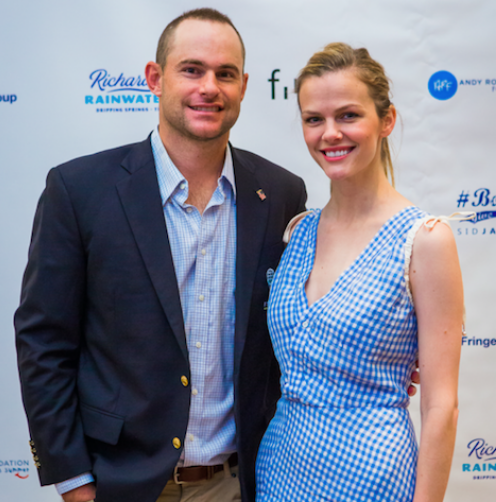 Hundreds turned out to support one of Austin's most recognizable couples, Andy Roddick and Brooklyn Decker, who have a mission of providing quality after school and summer programs for at risk children. THE VIBE: The Austin-chic crowd was wowed by a program that included several panels. This included a Kids Panel, led by Andy Roddick himself, that discussed how the Andy Roddick Foundation has positively impacted their lives. THE CAUSE: Proceeds from the event benefitted The Andy Roddick Foundation, which provides after school and summer programs for at risk youth. Since 2000, the organization has raised over $20 million dollars to improve the lives of children.